One of Parliament’s main role is to examine the work of the government through questioning ministers, debating and committee work. Another central role of Parliament is to make new laws as well as making changes to existing legislation. In order to reduce inequalities, it is vital that deaf people are empowered with the knowledge of how Parliament works and also how they can lobby for important issues that affect the deaf community. 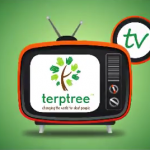 terptree have a strong and active working relationship with the Community Outreach and Engagement Team, who exist to support groups in the community to lobby for these issues, sharing relevant information and making recommendations of how to take campaigns forward. They take up all of the concerns and take people through different avenues of taking these matters through Parliament. Whether that be through their local MP, the House of Lords, and an e-petition – with the aim of creating a Westminster debate, which means that the government minister is considering the issue, or even a Select Committees which is focusing on a particular issue and giving feedback and expertise into Westminster discussions. There are a number of issues that directly affect the deaf community and that could be improved and rectified through Parliament; so, the aim of this work is to air these issues and seek practical solutions that can be fed back into Parliament.